Register for 2-Step Authentication/DUO so you can access your Student Financials account section in Connect Carolina. Establish Authorized User Access for anyone that you would like to be able to access your account and discuss it with the Cashier’s Office. Sign up for Direct Deposit so that any refunds related to your student account can be directed to your bank account. Waive out of mandatory student health insurance if you have existing coverage under another health plan, or enroll in the UNC Chapel Hill plan. Authorize the Cashier’s Office to apply your Title IV financial aid to your other student account charges. 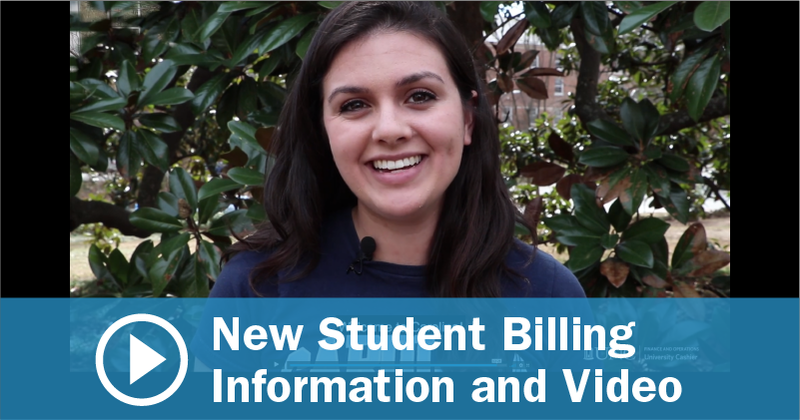 Check your UNC email account for bills from our office. Log in to your account and pay (or defer if you have financial aid) your bills by the due date.